With a lot of free time on his hands, today Kyrgios chose to field some questions from the masses. He revealed vital facts about himself, like his love of frozen treats. He did not take well to being called obese. But food helps him hold up under the constant negativity. Kyrgios cited Mirka Federer as the most difficult aspect of playing Roger. 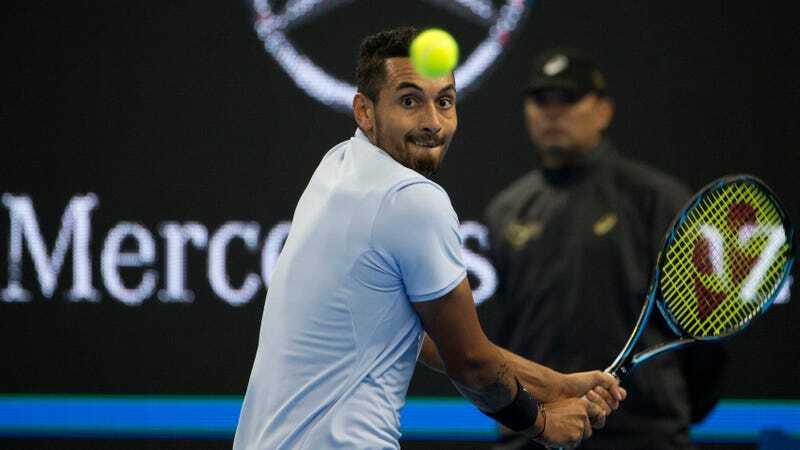 He’s referencing his extremely tense three-set tiebreak loss to Federer in Miami, during which a heavily pro-Federer crowd jeered Kyrgios loudly, to the point of distraction, and continued well after the umpire asked them to stop. Roger’s wife was caught on camera taking part in the heckling, a memorable image that Nick was happy to share. He threatened a prominent New York Times journalist with a wedgie. On a more gentle note, he enjoyed this puppet rendition of himself.